CNC processing equipment is an automatic processing equipment with high precision, high efficiency, flexibility and versatility. In order to ensure its normal operation, we need to carry out daily maintenance of CNC processing equipment. Daily maintenance means that the operators of CNC processing equipment must carry out maintenance on every shift. 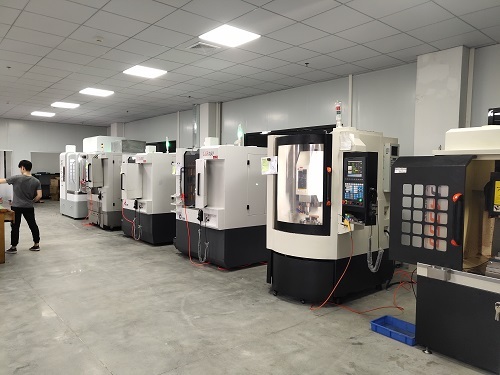 The daily maintenance of CNC processing equipment mainly includes pre-shift and post-shift checks to keep the equipment clean, checking the condition of machine parts, lubrication status, whether the screw is loose or not, and if there is any problem, it should be promptly reflected to the equipment maintenance personnel to deal with. Daily maintenance can better maintain all kinds of CNC Turning processing equipment. Therefore, we need to formulate appropriate spot inspection specifications according to the different characteristics of each type, and implement daily maintenance accurately to ensure the accuracy, stability and prolong the service life of the equipment.